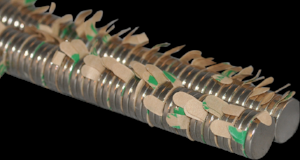 Magnets are something most of us have been fascinated by since we were children. A strong magnet has an amazing invisible force and will always be of interest and a talking point when used. Now we see them used increasingly in presentation and display uses – see below for some of the most popular ones at Presco. 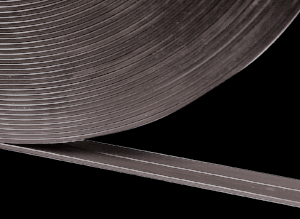 Magnetic discs are very popular for all types of assembly work requiring magnetic fixing or closures. They are super-strong magnets for their size and come with or without adhesive backing. Low profile high strength magnetic discs with strong 3M adhesive backing for insertion into product production. 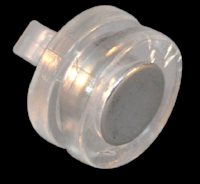 Low profile high strength magnetic discs that can be easily concealed when assembling products, cases and closures. A very popular product for lots of assembly uses, exhibition stands and print finishing, plus lots of other applications. 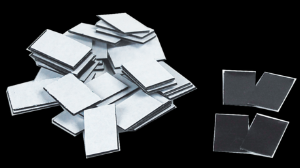 Low cost pairs of magnetic pieces with adhesive backing for simple closers in many print finishing and other production situations. Lightweight magnetic pieces with adhesive backing for simple closers in many print finishing and other production situations. The simple way to hang notices or advertising material from metal ceiling grids, beams or other metal surfaces. These magnetic badge holders are becoming more and more popular. Why risk injury or damage to clothes with badges that use pins when this simple answer is so effective. We sell these magnets from tiny sizes, such as 6mm x 2mm and 9.5mm x 0.75mm, and these are part of our common stock range. 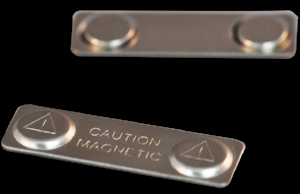 But we can also supply many other magnets to order, including hangers much to attach displays to ceiling grids that are much larger than our stock ones – with a weight loading of several kilos. At the top end of the scale there are magnets for multiple industrial and construction projects – such as holding panels in place that must be moveable. 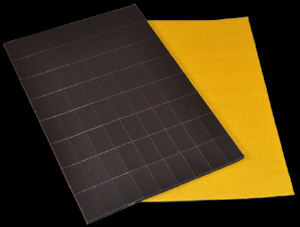 They are also used as components in many manufacturing applications as well. Above is our stock range of small magnets and tapes. But if you are using quantities of any magnetic product give us a try – we can be very competitive.